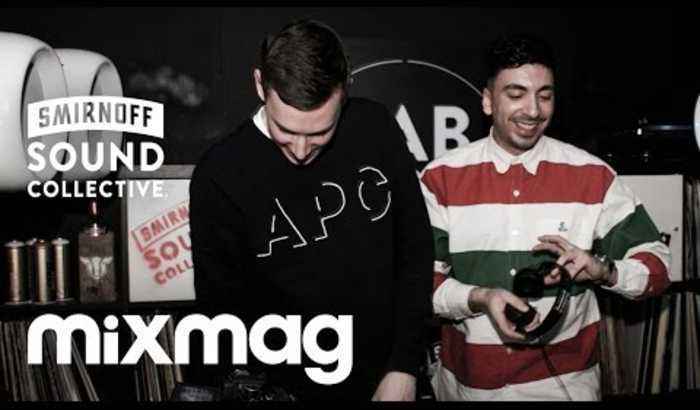 Smirnoff Sound Collective & Mixmag present The Lab LDN The duo at the forefront of the UK scene make their MixmagTV debut The Lab is powered by Void Acoustics: http://www.voidacoustics.com More info: http://https://www.facebook.com/mynuleng/ Their FABRICLIVE86 mix drops March 11: http://bit.ly/1NuDZhI The Lab LDN is Mixmag and Smirnoff Sound Collective's weekly live stream, powered by Void Acoustics, where we showcase the finest DJs direct from our world famous office party and this week we hand control over to My Nu Leng. The duo who've combined drum 'n' Bass, UK garage, dubstep and grime to full effect make their long over due MixmagTV debut. Releases on Black Butter and MTA combined with remixes for the likes of Rudimental and Clean Bandit, support from the industries finest and countless high energy sets have propelled these boys to the forefront of the UK scene. The guys join us this Friday ahead of their forthcoming FABRICLIVE mix, the on-point 30 track selection features a whole host of unreleased gems including their recent collaboration with Khan ‘Ruins’ which we premiered earlier this month. The Smirnoff Sound Collective is all about bringing fans closer to the DJs. Giving up and coming talent a platform and throwing unique events where fans and artists can party together.